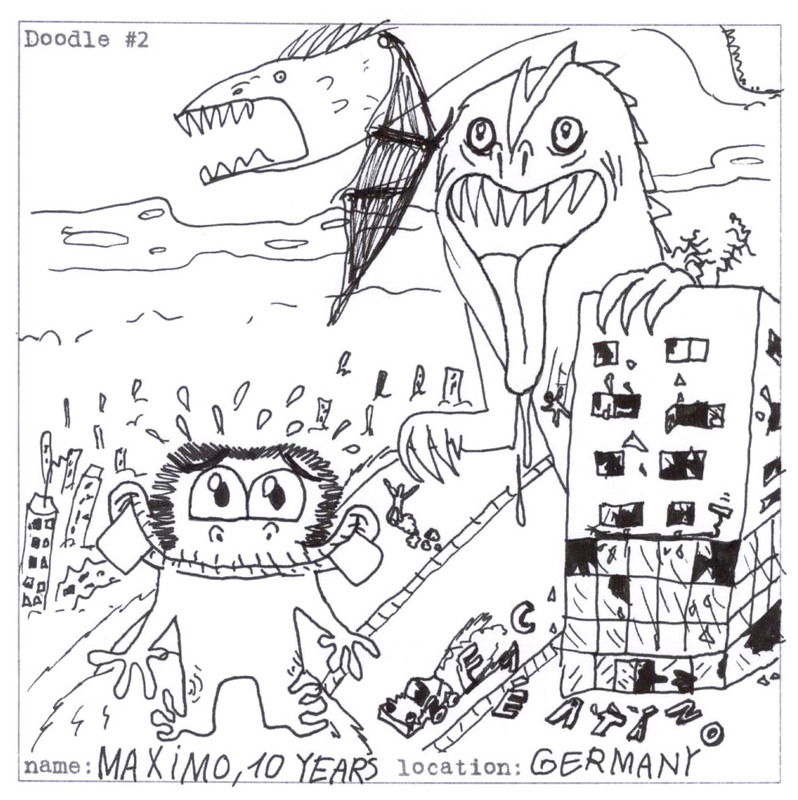 Maximo is a 10 years old German boy, he is a very talented young artist. I met him through DoodleDoodlers, he has sent me so many amaizing doodles which always surprise our community! Apparently I received few of his personal photos from his email, I finally have a chance to know his face. By having permission from him, I like to highlight several doodles he has done as well as his "cool" look. Keep up your great works! Maximo! Enjoy your creative journey~ I believe there are many more young talented artists around us, we just have to help them to explore their creative world!